Drake’s Latest No. 1 Was a Foregone Conclusion. Is There Anything Left for Him to Prove? “God’s Plan” set a one-day streaming record. But in a pop world he remade in his own image, it’s getting harder for Drake to stand out. At some point, victory laps become tiresome. Photo illustration by Slate. Photo by Kevin Winter/Getty Images for Coachella. “God’s Plan” is the first single to debut atop the chart in about nine months—since DJ Khaled’s five-artist posse cut “I’m the One” last May—and it’s Drake’s first No. 1 debut ever. It’s also the Toronto hip-hop king’s second Hot 100 topper, after 2016’s “One Dance.” If you’ve been paying attention to Drake’s profile as the king of streaming and the virtual mascot of Apple Music, you can probably guess how “God’s Plan” managed to enter the chart at the penthouse. The track set a one-day streaming record when it dropped on Jan. 22, tallying the highest number of plays not just on Drake’s beloved Apple Music (14 million streams in 24 hours) but also Spotify (4.3 million). Those one-day marks beat the previous streaming record-holder from just five months ago, Taylor Swift’s “Look What You Made Me Do.” By the time the Drake single’s first full chart week was tallied by Nielsen and Billboard, “God’s Plan” had racked up 82.4 million in streams—actually a little lower than Swift’s first full week (and lower than all-time record-holder “Harlem Shake” by Baauer), but Taylor’s single had an official music video in week one. As of publication, Drake’s track is audio-only on YouTube, making his total all the more impressive. Airplay for the song is still mounting, its first-week radio audience a not-bad 24 million. But by debuting atop both Billboard’s streaming chart and digital sales chart (“God’s Plan” sold 127,000 downloads in week one, impressive for 2018 now that buck-a-song sales have been decimated), Drake’s single was all but guaranteed entry at the Hot 100’s top slot. Godlike, indeed. Notwithstanding its title, the devoutness of Drake’s new smash is secondhand at best—it’s debatable whether the titular deity is the Almighty or the self-appointed 6 God himself. The song is typically solipsistic, bemoaning haters who are “wishin’ … bad things,” name-checking Drake’s collaborators such as producer Noah “40” Shebib and late friend Fif and reassuring us for the umpteenth time that your boy is still Drake from the block: “I’ve been me since Scarlett Road.” At this point, honestly, what does the dude born Aubrey Graham have left to prove? Basically the most influential artist of 2010s pop, Drake has already shown he can redirect the sound of hip-hop and the tempo of the radio, create memes and blow up as a GIF, grow his sales with each album release, top the charts with surprise mixtapes and so-called “playlists,” and even turn Toronto into a hip-hop mecca. Drake is only the second artist ever to debut with two songs in the Top 10. Given that Drake tends to drop flotillas of tracks in various combinations when the mood strikes, it’s worth asking if his two-sided single—fine, we’ll call it Scary Hours—exhibits any thematic unity. Sonically, the two songs don’t have much in common besides production input from longtime Drake collaborator and dancehall connoisseur Matthew “Boi-1da” Samuels. “God’s Plan” rides a thumping, shimmering trap synth hook, while “Diplomatic Immunity” is built around a woozy, florid orchestral sample. To its credit, “God’s” is hypnotic and seductive, yet another example of how Drake is the ultimate singer who raps, not rapper who sings. Whereas “Diplomatic,” is so pissy, ranty, and rambly that “God’s Plan” sounds upbeat by comparison. But what’s hilarious, bordering on absurd, about “God’s Plan” is how the hip-hop blogosphere is calling it “uptempo” and “joyous.” When Drake patented this depressive sound back on his 2011 album Take Care, it was rightfully termed emo. More than six years later, Drake has moved the goal posts of tempo and exuberance in pop so drastically that even something as droning and broody as “God’s Plan” now qualifies as ecstatic. “Sad Drake” strikes again. No, if there’s anything connecting Drake’s first pair of tracks in 2018, it’s their wistfulness. I have a bad habit of comparing current pop hits to old Beatles records. 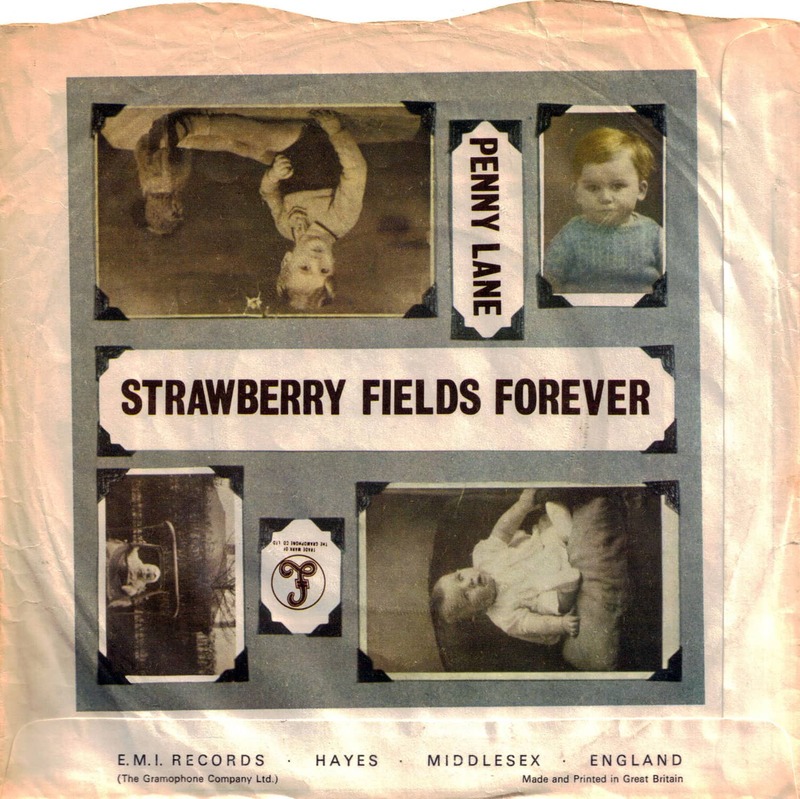 But (bear with me) if Scary Hours is meant to be understood as a thematic two-sided single with different flavors of nostalgia on each “side,” then it’s essentially Drake’s answer to “Penny Lane”/“Strawberry Fields Forever”—the Fabs’ seminal 1967 pre-Pepper double–A-side. Like Paul McCartney on “Penny Lane,” Drake on “God’s Plan” is discursive and picaresque, recounting streets from his youth and half-remembered conversations. Like John Lennon on “Strawberry Fields,” Drake on “Diplomatic Immunity” creates impressionistic word pictures about his solitude. The difference—well, besides the fact that those Beatles songs were musically groundbreaking, and Drake’s songs are retreading his own prior musical tropes—is that Drake on Scary Hours is handling both forms of nostalgia, the self-satisfied and the depressive, by himself. Drake’s recollections are, at this stage of his career, so much navel lint. Of course, hip-hop has long been rife with such small-scale reminiscences. Biggie Smalls rapping on “Juicy” about Word Up magazine and sardines for dinner. Jay-Z on “December 4th” remembering the Volvo he inherited from a jailed fellow drug dealer and street characters like Spanish José. Kanye West on “All Falls Down” waxing about his first pre-fame visit to bling-maker Jacob the Jeweler, or on “Homecoming” meeting a Chi-town homegirl named “Windy.” What makes these second-wave rap joints distinct from Drake, king of rap’s third wave, is the pairing of minimalist recollections with maximalist production, such that the molehills become mountains. (So indelible are Biggie’s images on “Juicy” that, when remixed by mashup genius Girl Talk with the backing track of Elton John’s “Tiny Dancer,” they take on a misty, Proustian poignancy.) Drake’s recollections are, at this stage of his career, so much navel lint. Not because he is incapable of something grander—half a decade ago, on “Started from the Bottom,” a hungrier Aubrey was more triumphal about what it meant to world-build with his boys from scratch. But at this point, Drake has set the tone in rap for so long and clocked so many victory laps that his boasts feel like redundancies. As recently as two album cycles ago, Drake had never scored a Hot 100 chart-topper as a lead artist, and his most celebrated single, “Hotline Bling,” fell just shy of the top slot. Now that he is capable of not only topping the charts on the regular but clearing the field instantly when he issues a single on a whim—first No. 1 debut, check!—one wonders what challenges remain for him. For several years, Drake has been the generational litmus test of millennial pop—the first major rapper whom people older than 40, even the ones who grew up with rap, felt alienated by, unable to abide his whiny-singsongy flow or his woolgathering lyrics. He doesn’t need those listeners any more than Lil Yachty or Lil Pump do. But those younger lions are going to make Drake obsolete eventually. Maybe the last frontier for Drake is a total stadium-rocker, a track so grandiloquent everyone from SoundCloud rappers to Grammy voters would find it undeniable. Even gods who’ve taken up permanent residence on Mt. Olympus have gotta find a challenge—a plan.